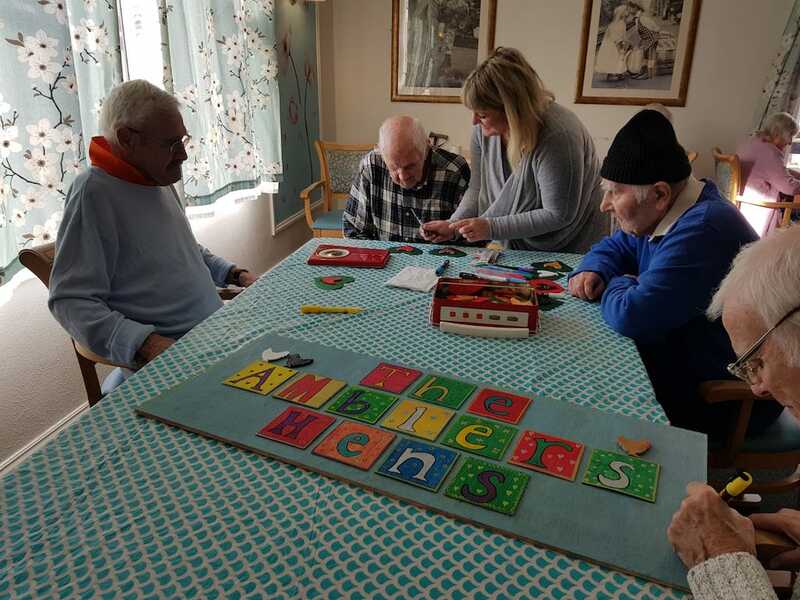 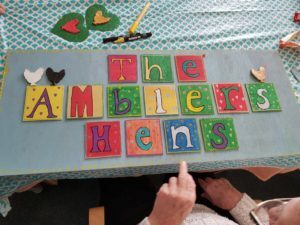 We had a lovely afternoon of crafts at Ambleside. 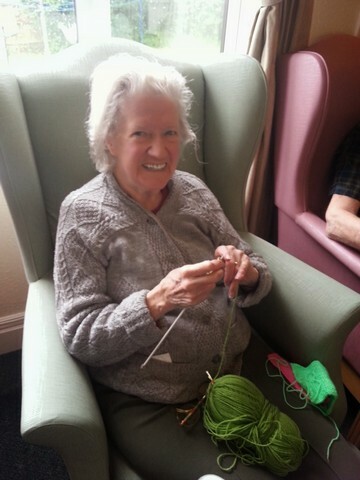 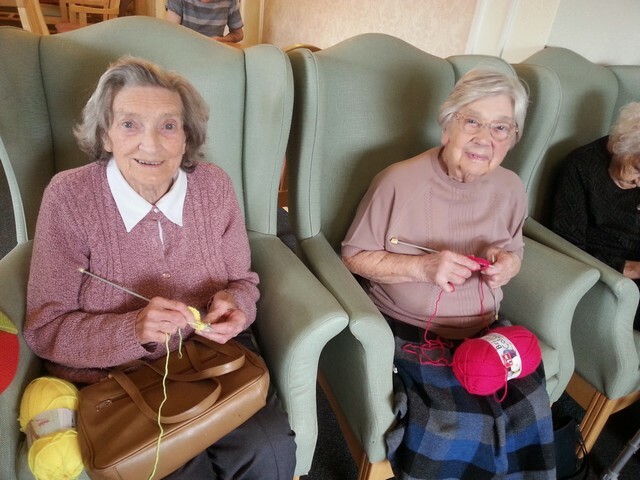 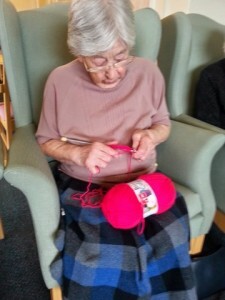 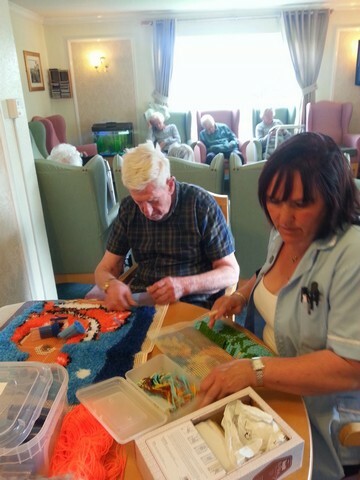 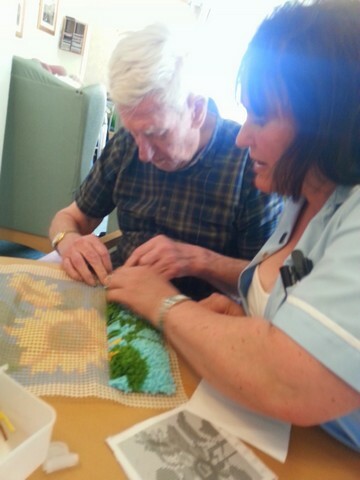 Some of the residents were helping to knit a blanket. 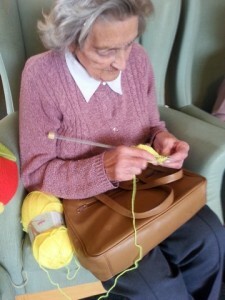 Maire started us off by planning which colours to sew together. 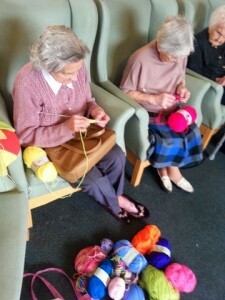 Doris, Mary, and Edith all helped by each knitting a square for the blanket. Bill had a lot fun doing some latch hook rug making. 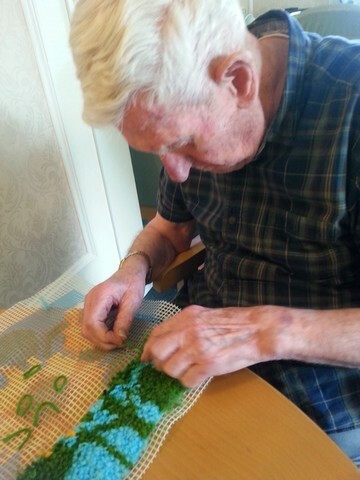 It had been some time since he had done it last, but he got right back into the swing of it. 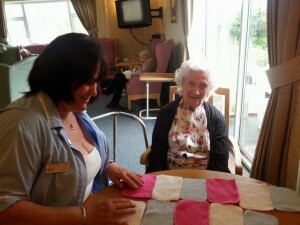 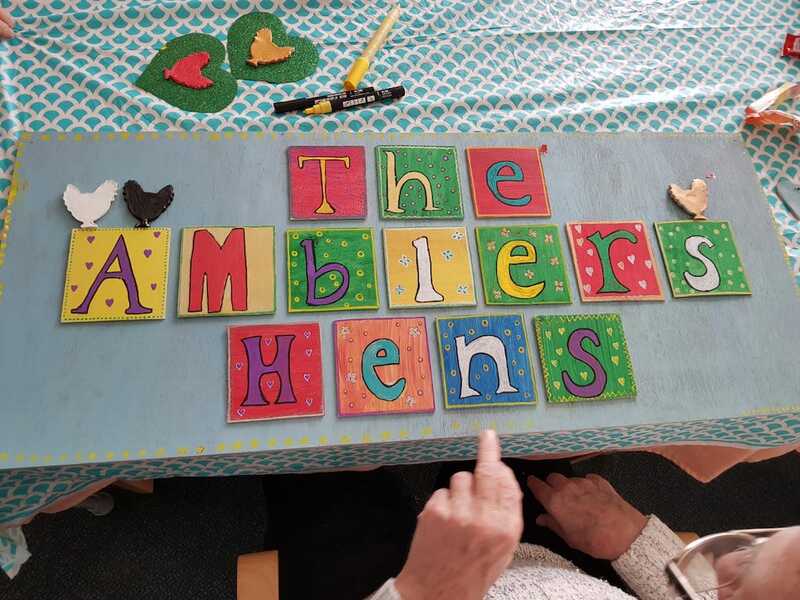 Soon we will have a beautiful blanket created by the residents of Ambleside.